From the May/June issue of The Harmonizer, pages 12-13. Members frequently contact the Outreach department after having seen music pulled out of a specific school to which they have been connected, and they ask how the BHS can act on their behalf. Our conversations have turned to the local nature of most music education funding issues, and the power that Barbershoppers have to act locally. 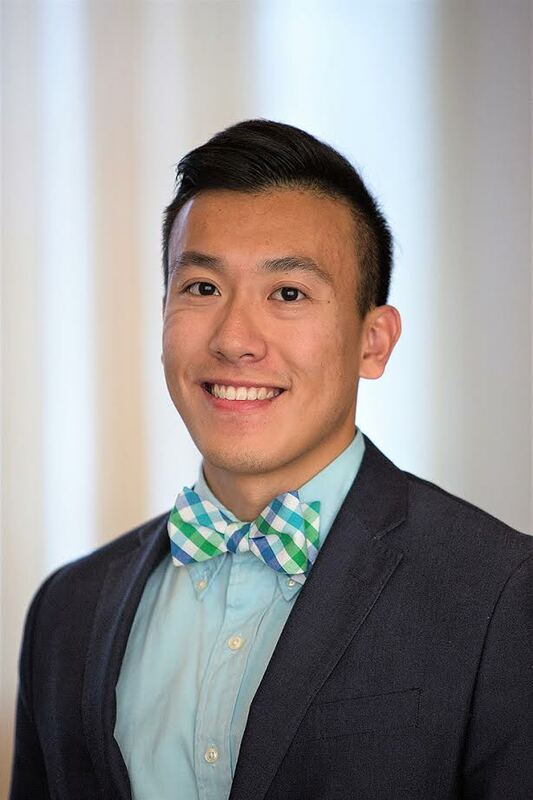 We contacted Ronny Lau, Public Policy Advisor for the National Association for Music E.clucation (NAfME) to help members understand the basics of advocacy-specifically, what chapters and members can do to ensure that music education is well-funded and well-supported in their own communities. we could have a highly positive grassroots effect if our members knew what they could do. Many of our members have a general sense that music programs are often threatened, but are broadsided when their local program is cut or restricted. How or when should we advocate to ensure this doesn’t happen in our communities? Generally, people pursue and perceive advocacy as a reactionary response, after an elimination or cut has occurred. However, advocacy is just as an effective tool for prevention. In many cases, schools lose their programs, not because of lack of success, but because that success was not being brought to the attention of the right people. Principals, superintendents, school board members, and other key decision-makers need to see the success of the music program and its impact on students. Is advocacy difficult or time-consuming? That is often the biggest misconception. Grassroots advocacy can be incredibly simple. It’s often easier to advocate for programs before they are in jeopardy. The community sees when a school football team wins a division title, and that stays in the mind of the community. 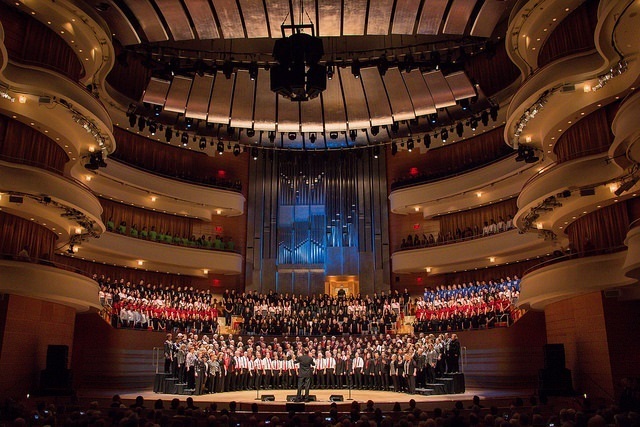 Music programs can benefit from similar visibility. Advocacy can be as simple as helping spread the word about an upcoming school music concert or notifying a local news source a recent accolade accomplished by the program. It also can be as simple as staying up-to-date with current developments or changes in your local school district, and learning how it may affect your school music programs. Can’t advocacy be better conducted by national groups like NAfME? Although the work conducted by national groups is important, the real place where education gets funded is the state and local district level. About 50% of the funding for public education comes from the state and local level. As such, advocacy is arguably much more important locally than it is nationally. Local grassroots advocacy must also be tailored to a community’s specific needs and situation. Grassroots advocacy in Indiana could be completely different from what Virginia requires. And within each state, District A’s funding decisions could be made by the school board, District B by the superintendent, and District C by some other arrangement. As such, local advocates simply have way more knowledge to be effective in local grassroots advocacy as opposed to a national organization. The issue also lies beyond just music education. Inadequate and deficient funding for education in the United States continues to be a systemic issue, especially at the state and local level. Members of the music community need to be advocates for public education in general; that way, educators can receive the critical resources they require, and each and every student has access to a well-rounded education, which includes music. NAfME provides plenty of resources for local advocacy. We can help anybody participate in, for example, letter-writing, social media campaigns, ideas for booster programs, and much more. How do barbershop chapters find others in their areas who are already advocating and know the lay of the land? Educators and parents will likely already know names of local advocates and other strong supporters within the community. And it’s very easy to get in touch with people who run booster programs and partnering organizations. If you’ re already connected with music educators, simply ask them how you can help. Additionally, you can get in contact with your state’s NAfME Federated Organization, or State Music Educators Association (MEA). Most MEAs have strong advocacy programs with state advocacy chairs. You can find contact information for your State’s MEA easily on their websites. Are there any areas in which barbershoppers may be uniquely positioned to enhance local advocacy efforts? lt’s one thing when music educators are advocating for their own jobs, but barbershop chapters can add a lot of value when they share the power of music from an outside perspective. They can develop community partnerships and ensure the community understands the impact of local music programs. The community needs to know what kind of void there would be in the community and in student culture if local music programs were to be removed or restricted. What kind of void is left when music education goes away? We know that a high-quality and standards-based music education can help students develop these skills. These unique skills come from learning and creating music together and by communicating with each other. Students do not get the opportunity to develop these skill sets in other traditional school courses; removing music in schools would also remove students from accessing these benefits. Does music participation help students perform better in non-music courses? We stress that music is a vital component of a well­ rounded education. There are a few rough cases that link music education to improvement in academic achievement, but the most consis­tent research points to the effect music education has on the rates of graduation, attendance, and participation – especially for low-income students of color, who more often lack access to music education. And those outcomes are the same, regardless of the type of music education or the teaching methodology. We all know that music teachers are much more than teachers – many students turn to their music teachers for emotional support and grounding more than they might with teachers in other subjects. Many students attend school simply because they have a great relationship with their music program and/or their music teacher. And because they love that class they will attend the rest of school, thus increasing not only their participation rate but also their school attendance rate. Does advocacy extend beyond connecting with decision-makers? Key decision-makers aren’t the only ones who need to understand the value of music education – the community also needs to understand it. You can help music education by applying some basic PR 101 principles. Get in touch with local news networks and mention: “Hey, there’s a school band concert happening this weekend” or “the elementary school chorus is singing at the tree lighting festival tomorrow at the town square.” It’s very easy. Invite people to concerts, festivals, competitions, and other public events so they can see the kind of impact music education is having on the students. What does advocacy look like in areas where there’s currently solid support for music programs? Things may be going well now within your community, but the decision makers are moving pieces. Next year your locality may have a new superintendent or different school board members. You always need to make sure everyone is on the same page with these cyclical changes. Just because the music program isn’t in jeopardy doesn’t mean you shouldn’t be advocating. Protect the programs by helping the educators maintain and create those connections. Is there value to supporting not only music education but funding for arts programs in general? Absolutely. NAfME is dedicated to strengthening the value of music and arts education among national leaders, and local advocates should be doing the same. At the national level, we support other arts disciplines as strategic partners – dance, theatre, the visual arts – all of which provide similar skill development and academic value. Any final words for barbershoppers and chapters who want to advocate for music education in their areas? Reach out to stakeholders and community partners and ask how you can help. Participate in the boosters program, help with a fundraiser, or provide clinics or masterclasses – whatever you can do to enhance the spectrum of music courses. Make connections with the community key decision-makers within the area, such as the school board, school administrators, state and local politicians, or your congressional representative. Again, it’s easy to participate in advocacy. Most of all, barbershop groups can show that music has intrinsic value beyond the educational perspective – that it can change lives forever. All these links and resources can be found on NAfME’s Public Policy Hub Page (nafme.org/advocacy/public-policy) at the bottom titled, “Grassroots Advocacy Resources.” To become involved with basic advocacy at the national level, visit NAfME’s Grassroots Action Center at nafme.org/advocacy/grassroots-action-center.